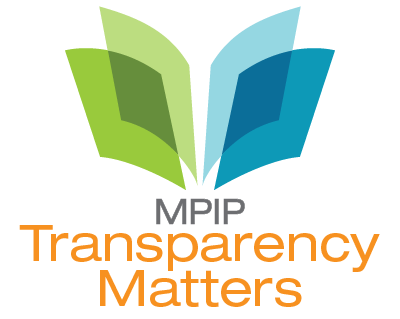 Articles on key topics relevant to transparency in the publication of industry-sponsored research. Cobey KD, et al. Knowledge and motivations of researchers publishing in presumed predatory journals: A survey. BMJ Open. 2019;9(3):e026516. doi: 10.1136/bmjopen-2018-026516. Dal-Ré R, Marušić A. Potential predatory journals are colonizing the ICMJE recommendations list of followers. Memon AR. Revisiting the term predatory open access publishing. J Korean Med Sci. 2019; 34(13):e99. doi: 10.3346/jkms.2019.34.e99. Ruiter-Lopez L, et al. Predatory journals: Do not judge journal by their Editorial Board Members. Med Teach. 2019;1-6. doi: 10.1080/0142159X.2018.1556390. Baker EF, et al. Open access medical journals: promise, perils, and pitfalls. Acad Med. 2018 Dec 18. doi: 10.1097/ACM.0000000000002563. [Epub ahead of print]. Bowman MA, et al. Beware of predatory journals: A caution from editors of three family medicine journals. J Am Board Fam Med. 2018;31(5):671-676. doi: 10.3122/jabfm.2018.05.180197. Cobey KD, et al. What is a predatory journal? A scoping review. Version 2. F1000Res. 2018 Jul 4 [revised 2018 Aug 23];7:1001. doi: 10.12688/f1000research.15256.2. Memon AR. Predatory journals spamming for publications: what should researchers do? Mercier E, et al. Invitations received from potential predatory publishers and fraudulent conferences: a 12-month early-career researcher experience. Richtig G, et al. Knowledge and influence of predatory journals in dermatology: A Pan-Austrian Survey. Acta Derm Venereol. 2018;99(1):58-62. doi: 10.2340/00015555-3037. Baum E. Beware the imposter: predatory conferences lure the unsuspecting. The MAP Newsletter: News and Trends. September 28, 2017. The International Society for Medical Publication Professionals Web site. Cress PE. Are predatory conferences the dark side of the open access movement? Aesthet Surg J. 2017;37(6):734-738. doi: 10.1093/asj/sjw247. Hunziker R. Avoiding predatory publishers in the post-Beall world: tips for writers and editors. Moher D, et al. Stop this waste of people, animals and money. Nature. 2017;549(7670):23-25. doi: 10.1038/549023a . J Am Psychiatr Nurses Assoc. 2017;23(4):239-240. doi: 10.1177/1078390317716883. Bush LW, et al. Professional responsibilities regarding the provision, publication and dissemination of patient phenotypes in the context of clinical genetic and genomic testing: Points to consider—A statement of the American College of Medical Genetics and Genomics (ACMG). Genet Med. 2018;20(2):169-171. doi: 10.1038/gim.2017.242. Int J Clin Pract. 2018;72(2). Proc Natl Acad Sci U S A. 2018;115(11):2557-2560. Schmidt B, et al. Ten considerations for open peer review. Stocks A, et al. Substantial contribution and accountability: best authorship practices for medical writers in biomedical publications. Curr Med Res Opin. 2018;34(6):1163-1168. doi: 10.1080/03007995.2018.1451832. Wallach JD, et al. Reproducible research practices, transparency, and open access data in the biomedical literature, 2015-2017. Plos Biol. 2018;16(11):e2006930. doi: 10.1371/journal.pbio.2006930. Mills I, et al. Professional medical writing support and the reporting quality of randomized controlled trial abstracts among high-impact general medical journals. F1000Res. 2017 Aug 16 [revised 2017 Sep 14];6:1489. Scott-Lichter D and the Editorial Policy Committee, Council of Science Editors. “CSE’s White Paper on Promoting Integrity in Scientific Journal Publications, 2012 Update.” 3rd Revised Edition. Wheat Ridge, CO: 2012. Camps IF, et al. Non-commercial vs. commercial clinical trials: a retrospective study of the applications submitted to a research ethics committee. Br J Clin Pharmacol. 2018;84(6):1384-1388. doi: 10.1111/bcp.13555. Goldacre B, et al. Compliance with requirement to report results on the EU Clinical Trials Register: cohort study and web resource. Jurić D, et al. Clinical trials on drug-drug interactions registered in ClinicalTrials.gov reported incongruent safety data in published articles: an observational study. J Clin Epidemiol. 2018;104:35-45. doi: 10.1016/j.jclinepi.2018.07.017. Baronikova S, et al. Commitments by the biopharmaceutical industry to clinical trial transparency: The evolving environment. BMJ Evid Based Med. 2019. doi: 10.1136/bmjebm-2018-111145. DeVito NJ, et al. Noncommercial funders’ policies on trial registration, access to summary results, and individual patient data availability. Gopal AD, et al. Adherence to the International Committee of Medical Journal Editors’ (ICMJE) prospective registration policy and implications for outcome integrity: a cross-sectional analysis of trials published in high-impact specialty society journals. Lassman SM, et al. Clinical trial transparency: a reassessment of industry compliance with clinical trial registration and reporting requirements in the United States. BMJ Open. 2017 Sep 23;7(9):e015110. doi: 10.1136/bmjopen-2016-015110. Int J Clin Pract. 2015;69(9):915-921. Resnik DB, et al. Effect of impact factor and discipline on journal data sharing policies. Account Res. 2019;1-18. doi: 10.1080/08989621.2019.1591277. Boué S, et al. Embracing transparency through data sharing. Int J Toxicol. 2018 Oct 3:1091581818803880. doi: 10.1177/1091581818803880. [Epub ahead of print]. Hopkins AM, et al. Data sharing from pharmaceutical industry sponsored clinical studies: audit of data availability. BMC Med. 2018;16(1):165. doi: 10.1186/s12916-018-1154-z. Park Y, et al. A parasite's perspective on data sharing. Polanin JR, Terzian M. A data-sharing agreement helps to increase researchers’ willingness to share primary data: Results from a randomized controlled trial. J Clin Epidemiol. 2018 Oct 18. pii: S0895-4356(17)31330-6. doi: 10.1016/j.jclinepi.2018.10.006. [Epub ahead of print]. Ross JS, et al. Overview and experience of the YODA Project with clinical trial data sharing after 5 years. Sci Data. 2018;5:180268. doi: 10.1038/sdata.2018.268. Schmidt H, et al. An industry experience with data sharing. N Engl J Med. 2018;379(21):2081-2082. doi: 10.1056/NEJMc1805610. N Engl J Med. 2017;376(17):1684-1687. Goldacre B, et al. Pharmaceutical companies’ policies on access to trial data, results, and methods: audit study. BMJ. 2017;358: j3334. doi: 10.1136/bmj.j3334. Taichman DB, et al. Data Sharing Statements for Clinical Trials: A Requirement of the International Committee of Medical Journal Editors. N Engl J Med. 2017;376(23):2277-2279. doi: 10.1056/NEJMe1705439. *Published simultaneously in BMJ, PLoS Med, Ann Intern Med, JAMA, Lancet, N Z Med J, Bull World Health Organ, Natl Med J India, J Korean Med Sci. BMC Med Res Methodol. 2016;16(suppl 1):76. N Engl J Med. 2016;375(5):403-405. BMC Med Res Methodol. 2016;16(suppl 1):75. J Am Board Fam Med. 2016;29(6):805-807. BMC Med Res Methodol. 2016;16(suppl 1):77. N Engl J Med. 2013;369(5):475-478. Bauchner H, et al. Conflicts of interests, authors, and journals: New challenges for a persistent problem. The May 2, 2017, issue of JAMA (volume 317, number 17, pages 1707-1812) is dedicated to conflicts of interest viewpoints and research articles. http://jamanetwork.com/journals/jama/issue/317/17. Several are highlighted below. Mandrioli D, et al. Relationship between research outcomes and risk of bias, study sponsorship, and author financial conflicts of interest in reviews of the effects of artificially sweetened beverages on weight outcomes: a systematic review of reviews. PLoS One. 2016;11(9):e0162198. doi: 10.1371/journal.pone.0162198. Pharmaceutical Research and Manufacturers of America (PhRMA). “PhRMA principles on conduct of clinical trials.” PhRMA website. Curr Med Res Opin. 2016;32(3):547-553. Curr Med Res Opin. 2016;32(11):1899-1902.